In a previous research project I explored the “do it yourself” aspect of creating a system for delicate animals (Blundell 2004). This project is a follow up intended to provide examples and encouragement for the care of seahorses, pipefish, juvenile fish, jellyfish and more. The care of delicate animals is under constant improvement. 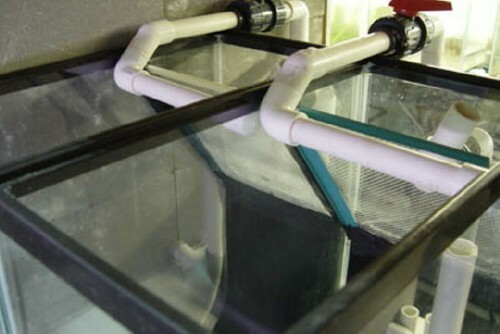 As we learn more about the needs of various marine life our construction of captive systems improves. For example seahorses have historically been animals to avoid in captivity because “their unique husbandry requirements make them quite difficult to maintain and display” (Burhans & Melechinsky 2004). 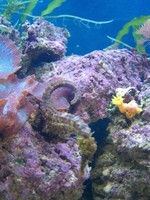 However a decade ago great progress was made in breeding programs for Hippocampus sp. by using kreisel systems like those described here. Currently there is a shift taking place. That shift is from the need for public aquaria to breed animals to a new found responsibility for aquaria hobbyists to conduct such efforts. 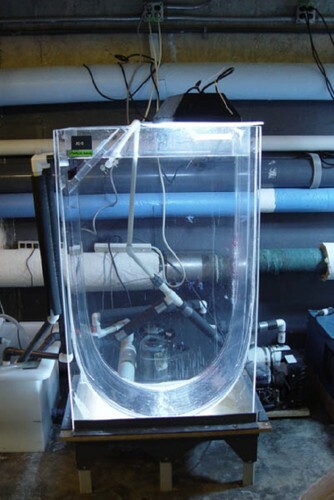 This shift is demonstrated by public aquaria working to educate hobbyists. One of the most successful people in this field is Todd Gardner of Atlantis Marine World. 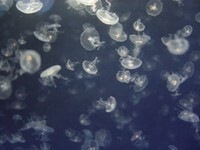 Gardner has presented and described simple home systems for the use of jellyfish culture. Shown here are examples of Gardner’s systems. 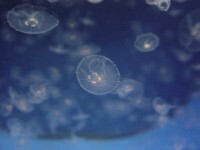 According to Gardner the most difficult aspect of jellyfish care is the need to feed, and the difficult in filtration (Gardner 2004). As with juvenile fish or seahorses “the increased bio-load in the tank leads to water quality problems” (Burhans and Melechinsky 2004). While biological filtration is increasingly popular many of these kreisels systems are set up without substrate to allow for siphon removal of waste products. 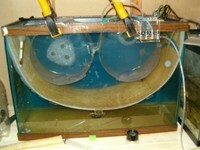 Foods for such tanks are highly variable depending on the animals being raised. In general most systems use small portions of enriched foods, rather than high quantities of standard foods to prevent excess waste. 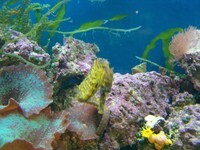 Overall appearance of the aquarium is another important factor to consider. 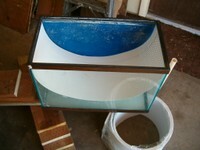 Some of these aquariums are designed for a specific husbandry or culturing purpose. 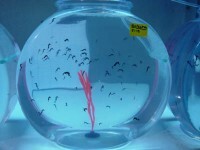 Likewise some of these aquaria are showpiece items of great aesthetic beauty. I think of this like the old biology saying “form vs. function”. First off I would like to thank Todd Gardner of Atlantis Underwater World. Todd is a wonderful addition to this hobby and his willingness and ability to bridge the gap between public aquaria and home hobbyist are impressive to say the least. Secondly I would like to thank Bob Burhans from the Birch’s Aquarium at Scripps for his insight and knowledge about seahorse husbandry. He is not only knowledgeable but eager to help those who wish to contribute to the aquaculture of these ill-omened animals. Funding for this project was provided by The Aquatic & Terrestrial Research Team, and publication and support was generously provided by The Advanced Aquarist Online Magazine. Blundell, A., (2004) “Delicatessen Part I: Creating a system for rare and delicate animals”, Advanced Aquarist Online Magazine, http://www.advancedaquarist.com/issues/dec2004/lines.htm, 2004. USA. 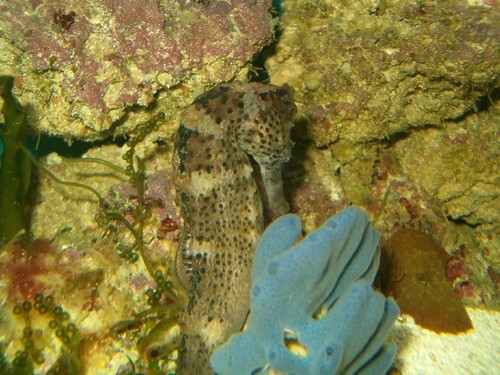 Burhans, R., Melechinsky, D., (2004) “Seahorse Husbandry and Propagation”, Scripps Institution of Oceanography. San Diego, CA. 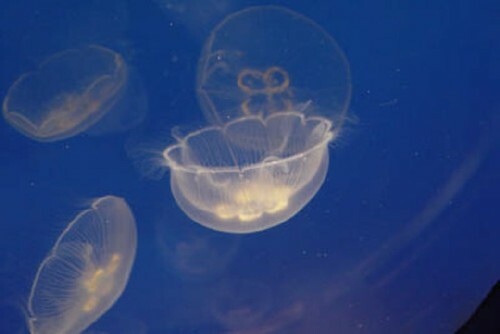 Gardner, T., (2004) “A Low-Tech Approach to Jellyfish Culture”, Presentation, Marine Ornamentals, Honolulu, HI.